In recent years, a number of Auckland-based newspapers have sprung up to cater for local Pacific Island communities. The majority of these publications have been produced for the Samoan community. 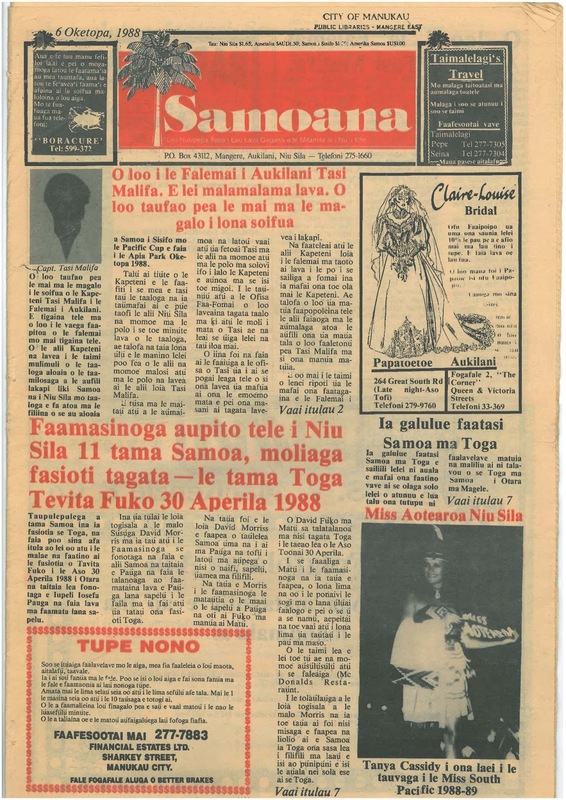 The first such title was Samoana, a Samoan-language weekly tabloid which was established in Mangere in 1979. This initially offered mostly Samoan news, but over the years included an increasing amount of news about the New Zealand-based Samoaon community. It ceased publication in 2006. 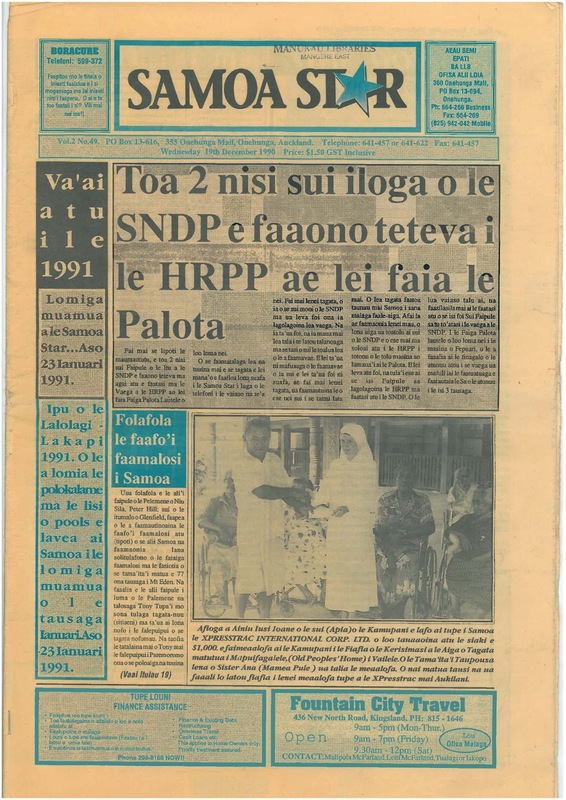 In 1997 the rival Otahuhu-based Weekly Samoa Post also began publication. This lasted until 2005, being succeeded by Le Samoa Post until 2007. Like Samoana, the Post included mostly Samoan language material. 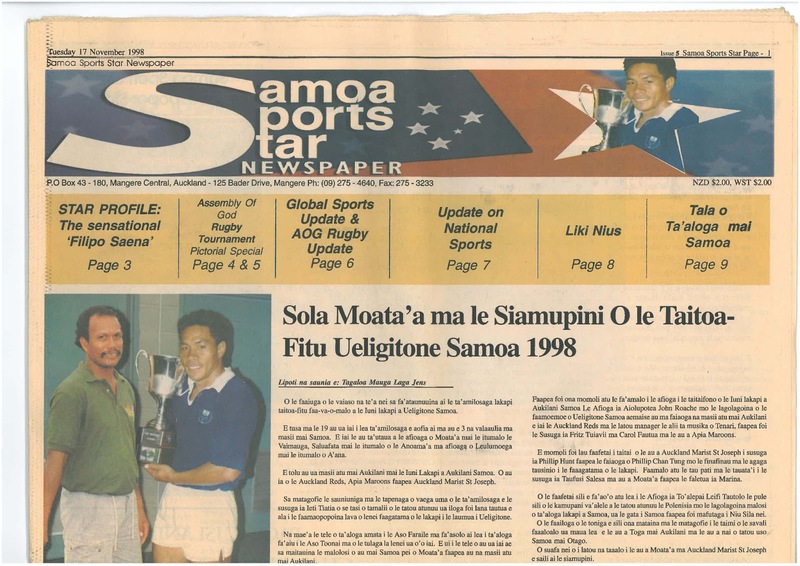 In 2004 the Papatoetoe-based weekly Samoa Times was also set up. This title still comes out today. The Apia-based Samoa Observer newspaper established an Auckland office in April 2005. 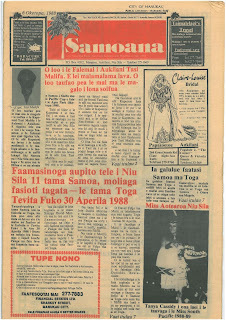 This initially brought out a thrice-weekly New Zealand edition of the Samoa Observer, including both Samoan and New Zealand news. From August 2007 the Observer’s New Zealand edition was supplemented (and later replaced) by the weekly Auckland Pacific Today. This was retitled New Zealand Pacific in November 2009. In October 2012 it was joined by a companion title, the Sunday Observer. Unlike most other Pacific titles, New Zealand Pacific and the Sunday Observer carry primarily English language text, although the latter title also includes Talanoa, a substantial Samoan language supplement. Other New Zealand-based Samoan titles over the years have included the Samoa Star (1989-1991), Samoa Express (2000), Samoanius Weekly (2008-2009) and Le Samoa News (2011-2013). 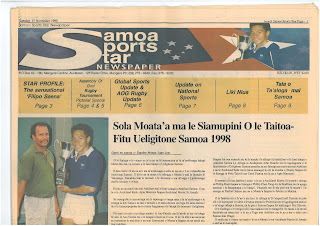 In 1998, the Samoa Sports Star, a Samoan-language newspaper solely devoted to sports news, also briefly surfaced. There has been a smaller number of newspaper titles devoted to other Pacific peoples. The Islander, an English language monthly newspaper, was established in 2002 to cover Samoa, Tonga, the Cook Islands, Fiji, Niue and Vanuatu, but ceased after just five issues. Te Kuki Airini, a (mostly) English-language title published for the local Cook Islands community, lasted somewhat longer, from 1988 to 1994. 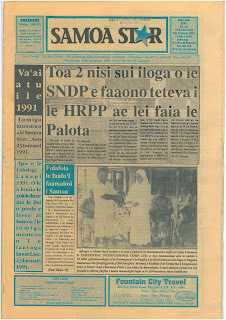 News about local Pacific communities is sometimes included in home-based newspapers such as the Niue Star (1993-) and Taimi o Tonga (1990-). The latter title put out a New Zealand edition for some years. Where available, Pacific titles can provide both a valuable insight into the life of the various Pacific Island peoples in New Zealand and a fresh and different perspective on the news to the mainstream media. However, since many of them are distributed via churches and supermarkets rather than by subscription, it is often difficult for libraries to obtain a consistent supply. Holdings are therefore usually incomplete and sometimes fragmentary. The Auckland Libraries catalogue lists locally held titles. Auckland University Library, Canterbury University Library and the Alexander Turnbull Library (Wellington) also hold runs of some Pasifika titles. See the New Zealand Libraries catalogue for more details.